No Fenders -Formula 1, IndyCar and A Whole lot more..: Forza Jules, Indeed! 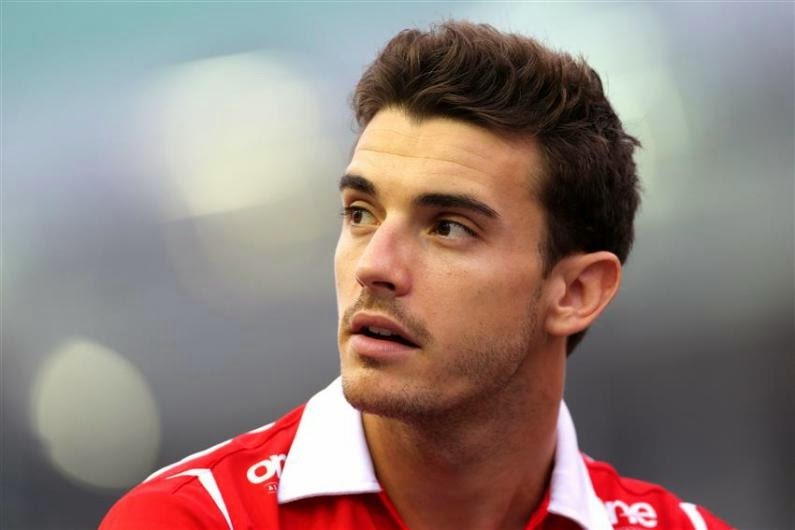 By now, surely A-L-L of the conjecture, speculation and outright accusations over the horrific Jules Bianchi incident at Suzuka are behaving like a Forest Fire out of control! Yet, I'd like to heartily echo ex-FIA Medical Delegate Gary Hartstein's assessment of how brave, candid and wonderful Joule's parent's are, along with their forthrightness in this overly trying situation, which it seems the Michael Schumacher camp would be wise to take notice of! And I've only been able to scribble my thoughts from afar, which in NO way make me an expert upon the subject; instead just living thru the horror vicariously via le Telescreen - and will acknowledge that I'd failed to take into account that the corner worker's had less-than two-minutes to try extricating Adrian Sutil's stricken Sauber from the exact location! Therefore, I won't comment any further for the time being on the matter and instead, will direct those still wondering about the incident to the following links below, which give further insight upon the medical terminology and the events of the accident in question, while obviously wishing for Jules to have a speedy and full recovery!